Get the Full StoryFloyd Mayweather extends an invitation to Conor McGregor to workout at his gym in Las Vegas, as Conor prepares for his UFC 229 showdown with Khabib Nurmagomedov. 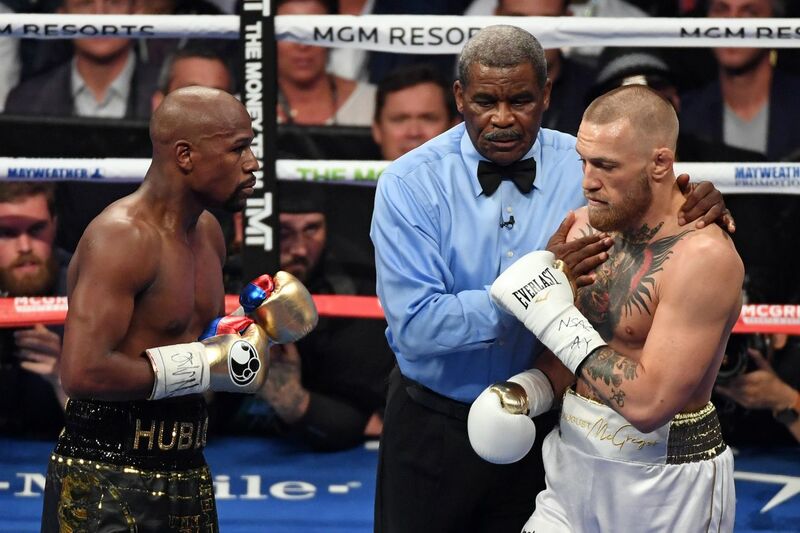 Almost a year ago to the day, boxing legend Floyd Mayweather Jr 50-0, 27 KOs took on UFC lightweight champion Conor McGregor in one of the richest fights in history. Mayweather carved out another ridiculously large payday, while McGregor earned more money in his 10th-round TKO loss to Floyd than his entire MMA career put together. Mayweather is retired for the umpteenth time , whereas McGregor is heading back into the Octagon for a monumental showdown with current champion Khabib Nurmagomedov at UFC 229. With the fight fast approaching, Mayweather is offering McGregor an invite to train at his gym. Leading up to the fight when McGregor gets to Las Vegas, I know the UFC got a training facility, but we d like for him to workout at the Mayweather Boxing Club, Mayweather said to TMZ Sports. When asked if he was planning to attend the highly anticipated matchup, Mayweather indicated that he d talk with Dana White , and may talk with Conor to get some tickets. Mayweather has never seen Khabib actually fight, so he didn t give a prediction as requested by the TMZ interviewer. Floyd is aware though that Khabib is a hell of a grappler and he can wrestle. He also had much praise for McGregor s talents as a fighter, and called him a warrior. Conor, he s not going to back down and he s not a scared fighter at all, Mayweather said. So win, lose or draw, Conor s going to come to fight. UFC 229: Khabib vs. McGregor takes place at the T-Mobile Arena on Saturday, October 6th, with the main card live on pay-per-view.